Our School Marshals protect elementary and middles schools across unincorporated Douglas County. The police departments in Castle Rock, Lone Tree and Parker provide Marshals for elementary and middle schools in their jurisdictions. 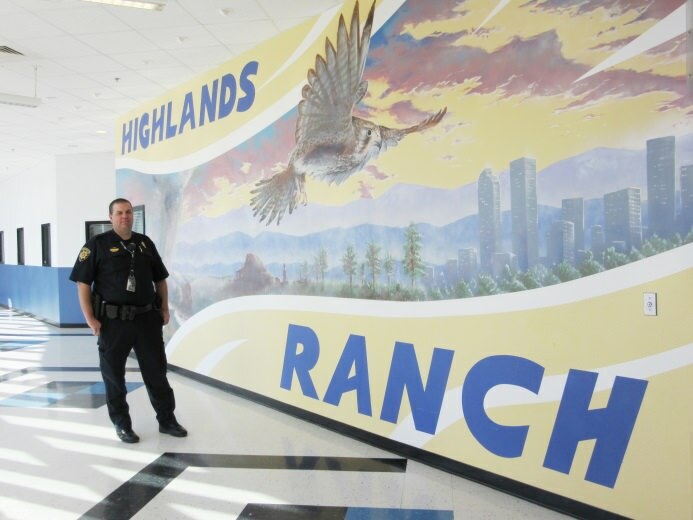 Our high schools are protected by our School Resource Officers. The School Marshals also provide an increased presence of law enforcement at the schools. School Marshals patrol the campuses, prevent crime and create strong, positive relationships with students. The deputies train frequently to respond to active shooters and other school emergencies. The program, which started in 2013, is collaboration between the Douglas County Sheriff’s Office, school district, parents and teachers to increase security in our schools.